Every blogger has a reason for starting a blog. I started my blog shortly after turning 50 as I had a passion to communicate. The purpose of my blog was to let people know that you could be fabulous at 50, no matter what the circumstances. 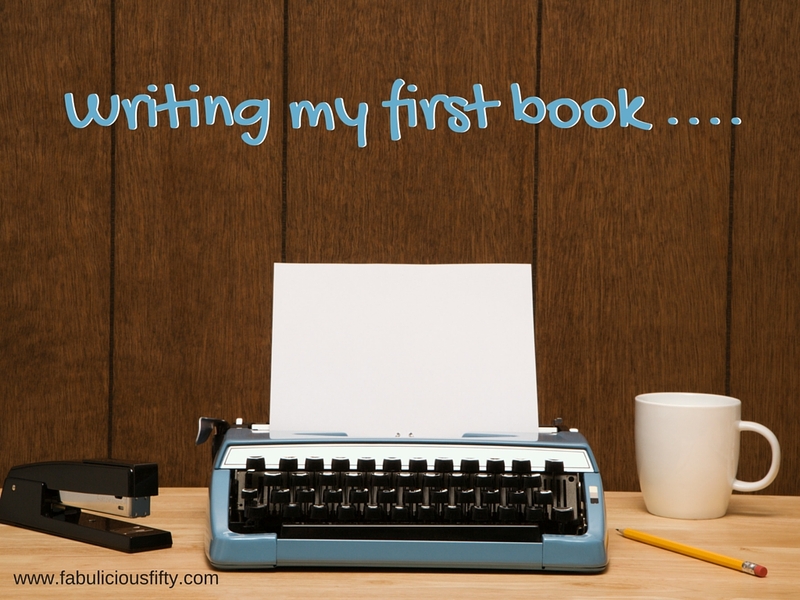 I have always loved writing and from the first day I sat down in front of my computer and wrote a post I was hooked. I literally fell in love with blogging –the research, the photography, and the writing. The best part however was communicating, sharing my story and learning from others. An unexpected side of blogging which has really enriched my life is the blogging community, both online and offline. I read blogs, I am friends with bloggers and I have wonderful support from the community which keeps me going especially when I perhaps hit a block! It is all very well to write a blog, but every blogger needs an audience and marketing your blog is a huge part of the process. Finding things to write about that are relevant to your audience, working with brands and using social media to promote your blog posts is all part of the process. I met Sinead Carroll, founder of the Irish Blogger Agency in my first year of blogging. At this stage she was a marketing professional and blogger at Yummy Mummy. When she set up the agency I was so excited. I have been a member of the agency since its inception and have been delighted to be invited to a variety of blogging events and to work (on a paid basis) on a number of campaigns. So many of us blog for pleasure but let’s be honest it is great to get some income that can be used towards hosting, and other expenses. I have recently been involved with great campaigns with Hotter Shoes and the Carlton Hotel Blanchardstown. These collaborations were a direct result of working with the Irish Blogger agency and have allowed me to share some great products with my readers. The Irish Blogger Agency has now introduced the most fabulous platform for connecting brands and influencers. It is really quite simple, fill in your information, connect your social media accounts and then you are done. It is a wonderful way of putting your blog in front of brands all over the world. I am delighted that I joined hundreds of other bloggers and digital influencers and signed up. I am so glad I met Sinead right at the beginning of my blogging journey. I can now look forward to travelling with her on her own journey with the Irish Blogger Agency. Thank you for reading, and please feel free to message me if you want to know more. This is a sponsored post, but one I would have written anyway. Being part of the Irish Blogger Agency is a huge part of my own blogger journey. I love my blog, but between one thing and another, I have found myself neglecting www.fabuliciousfifty.com. Here is a little life update. At first I felt guilty and then I felt upset. 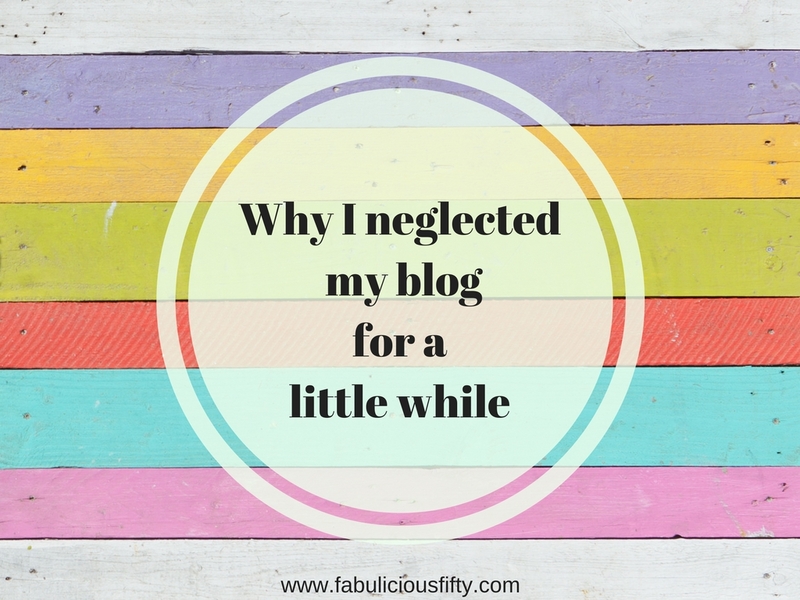 I then sat down to figure out why I wasn’t blogging. And gave myself a free pass for a few weeks while I got a few things in order. Followers of my blog will know that I had to give up full-time work a while ago. I don’t mind saying that I found this hard. Hard not to be doing what I was passionate about, and hard to complete a working day when it was required. I am delighted to say that I have re-organised my life, retrained and am now combining my years of experience with new skills. As part of this ‘new me’ I now have my own dedicated website built for me by the talented Sinead from Mini Media. Have a look at www.kerrymanning.net, where you can read all about how I keep myself busy when I am not blogging or crafting. You will notice that there is a section on speaking. It is a wonderful privilege to stand up in front of people and share my story and my philosophy of life. You will also find some links to podcasts and other exciting collaborations. I have also been working away at my book I am so excited that I have now reached the milestone of 20 thousand words. Quite a bit more to go, and it is only a first draft, but it feels good to put words on paper (in a digital version). This is a very personal book, and it isn’t easy to write. It is coming along and I believe that I will make my goal of finishing before the end of 2017. My health continues to be a soundtrack in my life. I wish it wasn’t so, but it is. Perhaps I was hoping for a magic pill which would take all the pain away. The result was quite the opposite and I felt down and despondent when I was simply told I was getting worse and the arthritis was spreading. No magic bullet, no cure and only painkillers on offer. My normal positivity deserted me for a little while. Thankfully it returned and I realised that the only person who could help me was me. I have the freedom to try different treatments, experiment with mindfulness, creativity and pacing. It isn’t easy, and I think this contributed to me not writing much for a while. I have no choice really but to accept that this is my journey and it is up to me how I travel. There will always be days when I dig deep and find the energy to throw myself into exciting things with abandon. And, yes these will be followed by days when rest will be a requirement, as will medication. I am determined to live life to the fullest. Why shouldn’t I? Being creative is, for me as essential as my favourite liquid, tea. I strongly believe that when you are being creative you are in a state of flow, and it is when you are in this beautiful place you fill yourself up. So many of us are always giving and sharing and we need to fill our own cup in order to continue. With this in mind I have been very busy with my creative endeavours. I have been teaching my class in Spiddal every month. This is so enjoyable, both the creativity of coming up with the projects and the special time spend sharing laughs with other creative souls. Another highlight over the past weeks has been teaching An Grianan – the Irish Country Woman’s Association adult education centre. What a beautiful place, I can’t wait to go back again. I have also just completed a big batch of handmade cards for the lovely Filippa of Harvest Breeze in Westport. Her gift shop is a true treasure trove for all the senses. If you are in Westport, please do pop in. I am back blogging so expect posts to become regular again. I am also working on a little blog make-over with a little more structure to highlight the areas I love blogging about. This is a sincere thank you for your support and for reading my blog. When you decide to start a blog, you might have a clear idea of what you want to write about, but, have you really found our blogging voice? I have recently read back on some of my earlier blog posts and realised that it took a while to find my blogging voice. It is important to figure out what it is you want to blog about and to find your blogging voice. This is what is going to make your blog popular and have people returning to read your posts on a regular basis. My mission, a year after starting my blog was to find out what was working and what wasn’t. Because I love statistics this was my first stop. I had a look at my stats on Google Analytics and on Jetpack which is a WordPress plug-in. I also had a look at my comments and which posts had the most feedback. If I had to describe myself I would say that I am a storyteller. 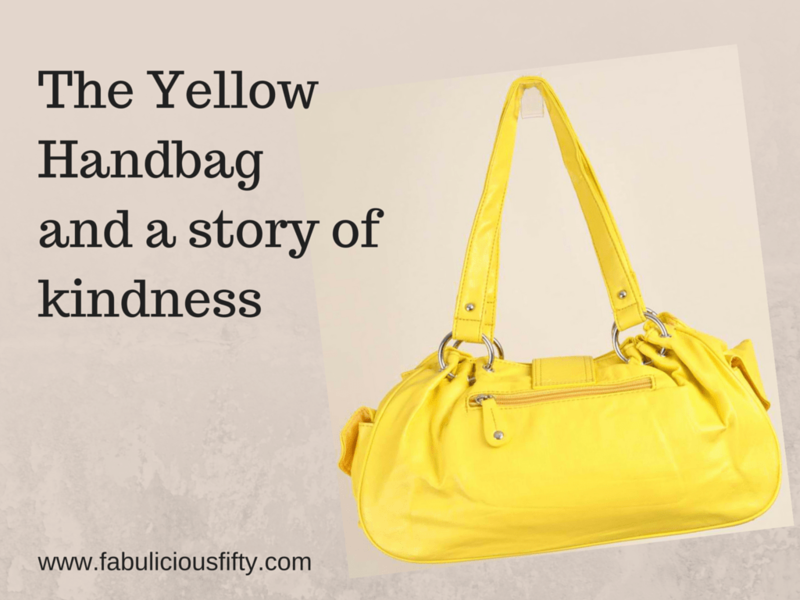 I tell stories about my quest to feel fabulous despite the curveballs that life throws at us. I am a plus size lady, who has passed the age of 50 who loves life and is determined to find the positive. I have a good few health issues, that really are curveballs for me. Over the past few years I have learnt that in order to feel fabulous I need to consider my health and wellness holistically. I look to my own experiences and to others to find out what it is that gives is that positive kick to overcome the stumbling blocks of life. I would say that it took me from about 13 to 30 to find myself – to find my style and the things that I would be passionate about most of my life. I have some pretty frightening and clear memories of some fashion disasters that followed me through my twenties, not to mention hair styles including the spiral perm on very blond hair. I think I must have looked quite odd, and yet I didn’t think so at the time. By the time I had hit my forties I had found my personal style. I do still indulge in some fashion purchases and some of these are less advisable, but generally speaking I now know what suits me and what doesn’t. 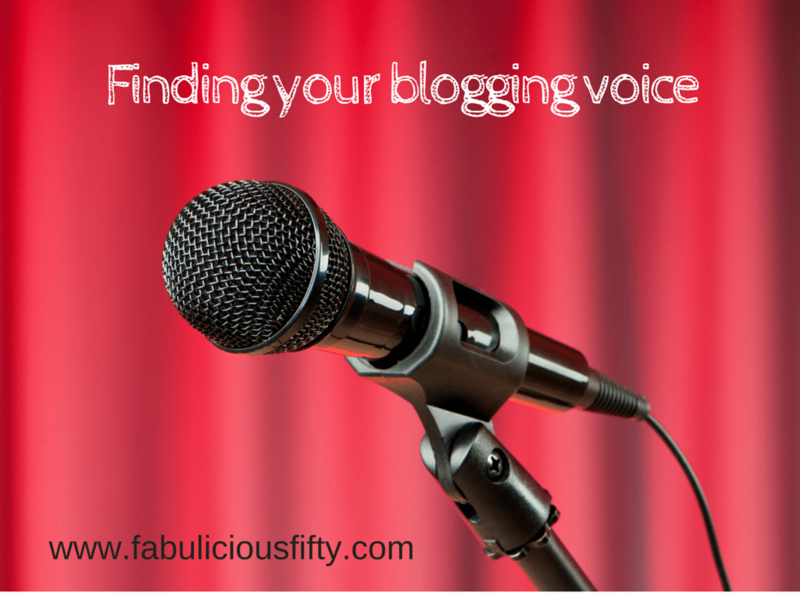 Finding your blogging voice is similar I think. In an effort to find mine I have looked for advice. I was given a fabulous book The Huffington Post Complete Guide to Blogging, and it devotes a full chapter to finding your voice. Jeffrey Feldman, editor in chief of Frameshop and Huffpost blogger. Verena von Pfetten, Living Editor at Huffington Post advises you to use the voice you have. ‘The best and easiest way to find your voice is to use the one you have. Sounds too easy? It’s not. That is why blogging is so popular! First think about blogging as writing an email to a friend. Better yet, and email to a really cool clever friend with whom you have a great and witty rapport’ says Verena. She also advises to simply start writing. You don’t spend hours hemming and hawing over how you are going to draft an email, so don’t spend hours hemming and hawing over a blog post. It is not worth the effort. Her final piece of advice is not to try too hard. Don’t try to be anything other than exactly who you are. It is your voice you are trying to find. I have been blogging for over a year now, and I want to thank everyone who has read my blog, and an extra thanks for the comments and feedback. Thanks for helping me find my voice. I also want to do a quick thank you to the ladies at ITWBN who run fabulous events and give bloggers support. Being part of a blogging network and reading lots of other blogs is really important and certainly helps to find your blogging voice. I am proud to say I am a health, wellness and positivity blogger. 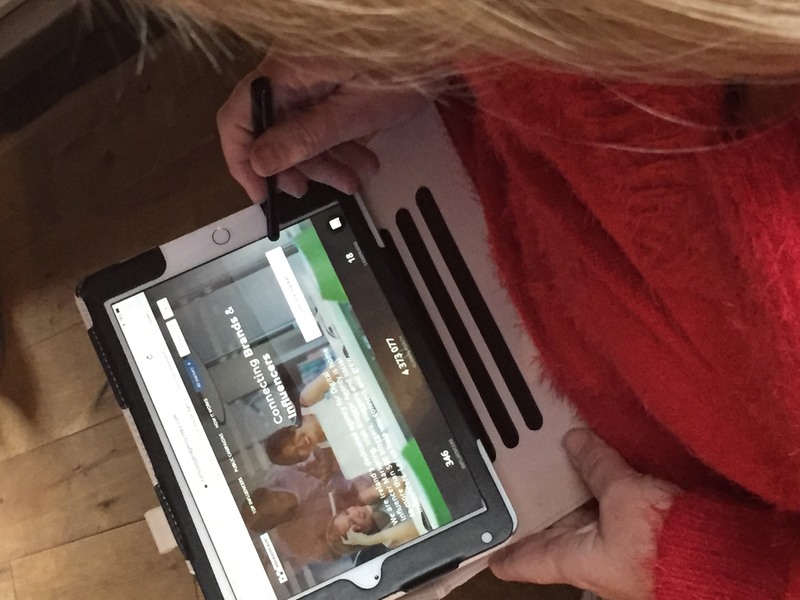 Here is to another year writing about finding the fabulous especially for those who are a little older and those who are facing some curveballs themselves. If you are thinking of starting a blog – do it! If you want any help or advise please feel free to get in touch. Do you remember getting your first diary for Christmas. I think I was probably around 7 or 8. 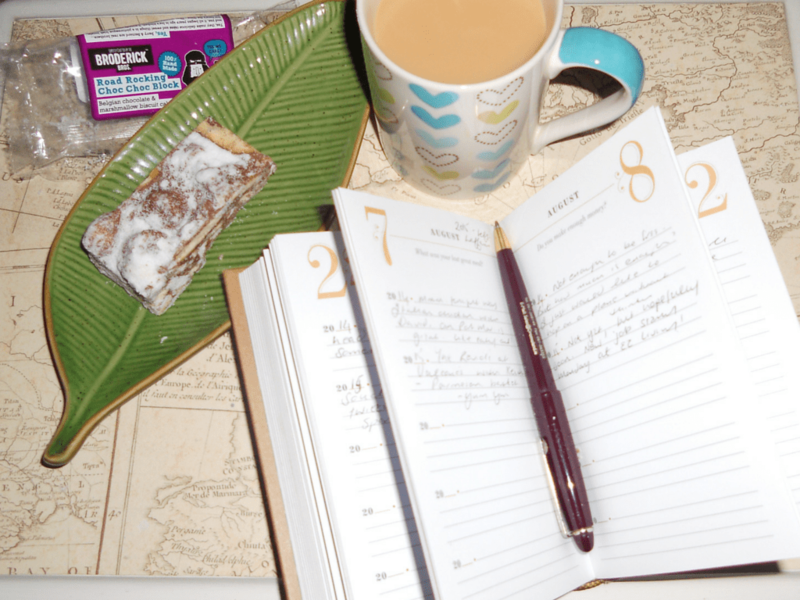 I was so excited and planned on pouring my heart out to Dear Diary …. If I remember correctly it was probably before the end of January that I gave up, and the diary languished among the other clutter in my bedroom. I celebrated a significant birthday last year, and received the most wonderful gift that keeps on giving. My sister bought me a Q&A Five Year Journal. This is a diary with a difference. Every day you are asked a simple question, and there are only a couple of lines for your answer. The questions are random enough, but they do make you think. My word of the year for 2014 was discipline so I made myself a promise that I wouldn’t miss a day, and I didn’t. This chunky little book filled up with my thoughts and musings and then the exciting part started to happen. I entered my second year. As I read the answers from the previous year I realised that in some aspects of my life, nothing had changed. My ambitions are the same and many of the core beliefs remain consistant. Some answers show how far I have come and in fact how much has changed. Little notations reminded me of special people and special occasions. What are you chasing at the moment? Write the first sentence of your biography? What question makes you anxious? Who do you need to call? What was your last credit card purchase? All bloggers are diarists. I can honestly say that taking a few minutes of every day to write and read my little book has often promoted a blog post, or a thought process. It is all a bit introspective, but sometimes that isn’t a bad thing. It really is fun and can’t help but wonder what kind of read it will be when all five years have been completed. I would encourage anyone who is looking for that special gift for a special person to consider this unique gift. Ever since I can remember I have wanted to write a book. I was never quite sure what the book would be about, fiction or non-fiction, but I knew that I had a book in me. Regular readers of this little blog will have read a few posts on balance and change. These are two of the words that have changed my life. Let me back-track a bit and tell you about my word of the year idea and how this has evolved into the start of my book. A few years ago I was in a very dark place. I simply felt that I had no choices anymore, no opportunities and that I was stuck in a situation that I couldn’t change. I hit rock bottom and from this I had a germ of an idea. I did a good bit of navel gazing trying to figure out why my life had got so out of sync and realised that my life was out of balance. This can best be described by a post I wrote about Balloons in a Box. I decided that instead of a new year’s resolution I would simply choose a word. This would be my Word of the Year. I didn’t know how it was going to work, so I simply started by thinking about it. Literally meditating on the word. Slowly but surely over the year my life started to come into balance and I ended the year in a far better place. Take a sneak peak at how it panned out here. The next year, after some more soul searching I chose the word Change. Now I can promise you that this was a dramatic word to choose. In a few short months the changes had started happening and they continued to happen. Big changes in my life that although traumatic resulted in a better me. Choosing words to focus on became a way of life for me and I have spent a year with Discipline as my word, and now this year my words (I felt I needed two) are Create and Respect. I am really honoured that quite a few people have decided to use this approach to ‘resolutions’ using words like brave, focus, grow and strength. So the book is started and sneak peaks will continue to appear on the blog. I really do value the feedback and comments, please keep them coming. I have been through quite a few changes in the last few weeks myself, and have missed out on a few blog posts. All up and running now with my brand new broadband connection so here is a promise to keep the posts more regular. ….. there are many people who have been very nice, and none that have been naughty. I have a lot to be thankful for. Over the last couple of months I have been through a bit. I have moved home twice, started a new job, said farewell to friends and hello to new friends. Throughout it all, there has been one constant. Gratitude. I have so very much to be thankful for. My family and friends near and far have been there for me. Sometimes it is the big things like a the gift of a holiday or a bed for a month that I am extremely grateful for, but then again there are those smaller things that simply come along at just the right time when you need them. The day I moved to my new home I had so much help. I simply could not have done it without the kindness of others. I was moved in and was surrounded by boxes and memories, all the helpers had left and I must admit I was feeling a bit sorry for myself. A little bit lonely to be honest. The next thing I was greeted at my front door by a fellow South African I had ‘met’ on Facebook. She had those moving day essentials, a bottle of wine and a cake! I have honestly been so humbled when I wrote my gratitude list. 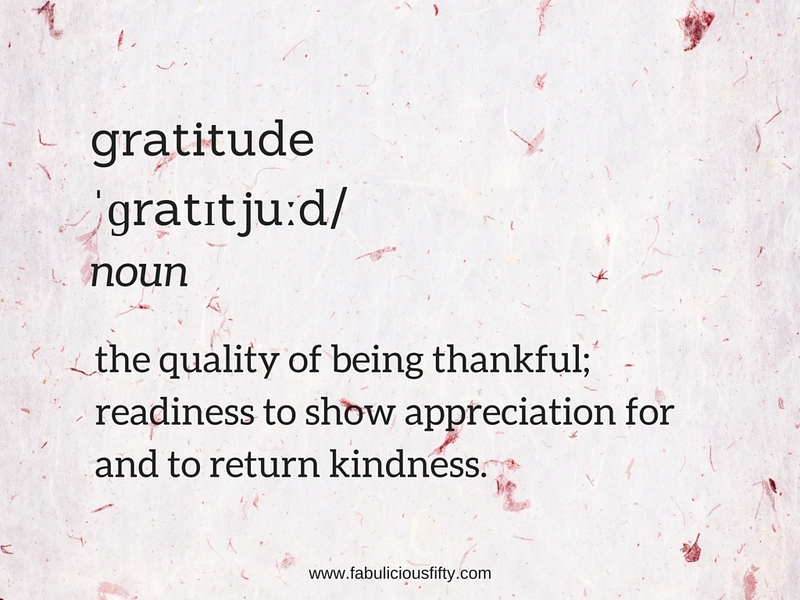 It is something quite personal but very important.to remind us of the true meaning of gratitude. This definition is very true. It is not enough to simply be thankful. We need to show appreciation and return kindness.It is also really important that amidst the hustle and bustle of life, it is important to make a call, send a text or even send a card to say thank you. I challenge you to make a gratitude list. 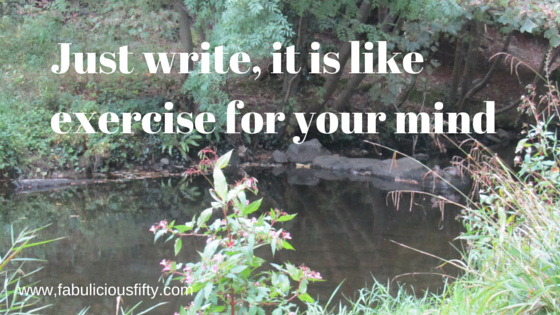 Writing is a funny thing – it is a bit like walking or in fact any other kind of exercise. You need to do it. And do it regularly. I had to take a break from writing (blog, book, diary) for a week or so due to a combination of commitments and sore hands. When I returned to the computer I had the ‘joy’ of the blank page. What to write? How to start? Even after consulting my little book of blogging ideas, and having a go at the next chapter of my book, I still couldn’t get started. I need a cool drink. It’s hot. Oh – the dishwasher needs unpacking. Ah while I am in the kitchen I will put a load of washing on. Look at the time – I really should make some dinner. One of my greatest procrastination techniques is to read blogs, or google ideas for writing. The best piece of advice I have ever received is to simply write. Take a sheet of paper, or open a document and write. Even if you write about your day, or what you are thinking of making for dinner – Just write. It may be that you produce a few hundred words that will never be seen by anyone, but you will be writing. It really is like exercise, one you get going you can go a little further, and a little further after that. And then, of course you have to do it again tomorrow and the day after that. I have so many areas of my life where I need to discipline myself into doing things. Making cards for the shop I supply. Walking, tidying clutter and of course writing. Keep a bloggers notebook. Jot down ideas as they come to you. You might never use them or they might simply be a kernel of an idea that grows into a great post. Give yourself a timetable – and try as much as you can to stick to it. I don’t always make it, but it is a gentle reminder. I do a motivational post, a beauty post and a quotation most weeks. Write every day, even it if it simply a line in your diary. I use Penzu as an online diary. Read other blog posts. Not to copy but simply for inspiration. Finally make yourself a promise. Set time aside and simply do it. I would love to hear any inspiration from other bloggers or writers.